Found one file extension association related to Oracle Documaker and 1 file format developed specifically for use with Oracle Documaker. Oracle Documaker dynamically creates, manages and delivers enterprise communications – when and how customers and stakeholders want them. The Word plug-in enables business users to easily create content using familiar software, while IT can still leverage the power of the Documaker Studio design tool to maintain these documents. Documaker helps companies create and deliver rich, compliant, consistent communications. 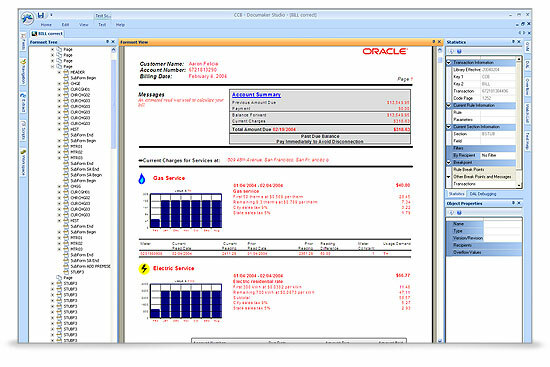 If you need more information please contact the developers of Oracle Documaker (Oracle Corporation), or check out their product website.